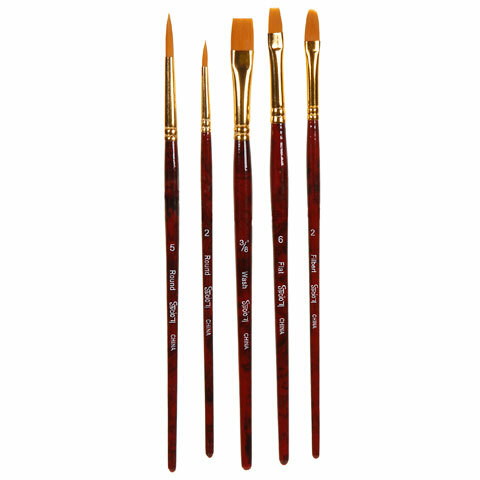 his 5 piece set of short handle Studio 71 gold taklon artist brushes includes: 1 - Round #5 brush 1 - Round #2 brush 1 - 3/8 inch Wash brush 1 - Flat #6 brush 1 - Filbert #2 brush With soft, synthetic bristles. brushes are ideal for acrylics, gouache, and watercolors. 1 set of brushes per package. 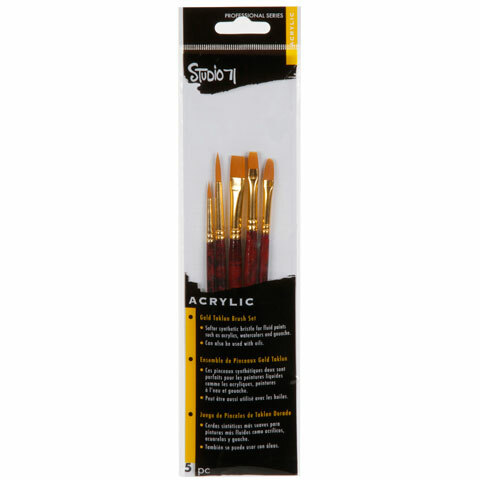 brushes are ideal for acrylics, gouache, and watercolors. 1 set of brushes per package.